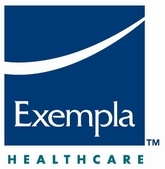 Exempla Healthcare constitutes three hospitals that have achieved better ranks among all healthcare facilities across the region. The organization has various specialty wards for offering better treatment options and care for patients. The heart care, comprehensive cancer care, breast care and even neuron sciences facility center offer exceptional services. They even have an effective emergency care unit at various locations, including Good Samaritan Medical Center, Lutheran Medical Center and Saint Joseph Hospital. Apart from this, their Birthing Centers at the three medical centers offer 100% peace of mind with commendable service. The advanced medical service organization was established in 1998.